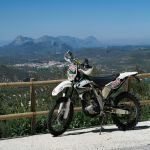 Trailworld : Off-road motorcyle tours, trails and schools in Andalucia, Spain. 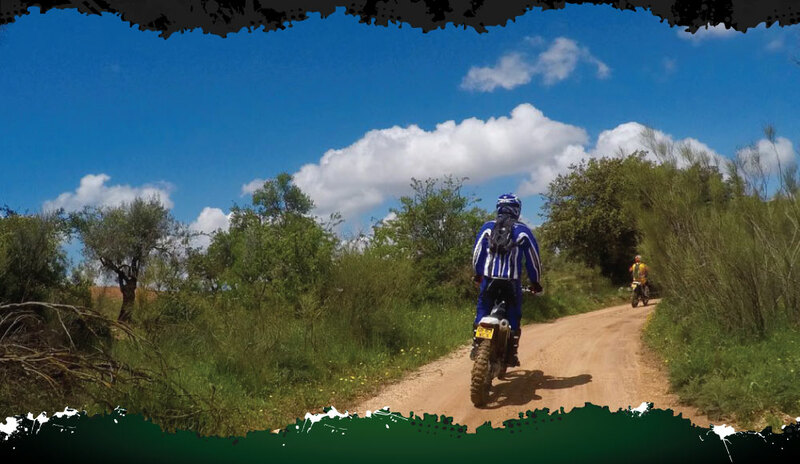 Book 4 or more riders and the tour stays exclusive to your group. Once you arrive at our bike base and beautiful accommodation, we'll hand you a nice cold beer (or soft drink), show you to your room and take a quick tour of your home for the next few days. On the first evening you tootle off into the local village to enjoy a great meal and a few beers, then it’s back to HQ for a good sleep before the fun starts in earnest the following morning. After a hearty breakfast at 08.30am we aim to kit up and hit the trails by 09.30am. 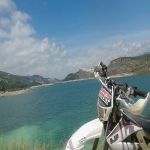 We’ll find our feet in the morning, easing you into riding the endless trails including wet and dry river beds, mountain passes and woodland tracks with a little tuition, tips and advice thrown in whenever necessary. 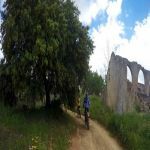 We break for Lunch, usually a very pleasant hour spent munching Tapas in a typical Spanish restaurant and then it’s off to play on the trails again for the rest of the afternoon. Arriving back at base at approx 17.30pm, it’s time to relax, down a well earned cold beer, jump in the pool and swap tall tails of heroism on the trail. Something which will inevitably continue over dinner in the village this evening. Chill out! If you sensibly booked your flight home for later in the day, you can take your breakfast at leisure, enjoying the Spanish countryside. Have a dip in the pool, go for a long relaxing walk, grab some lunch in the village, whatever takes your fancy.